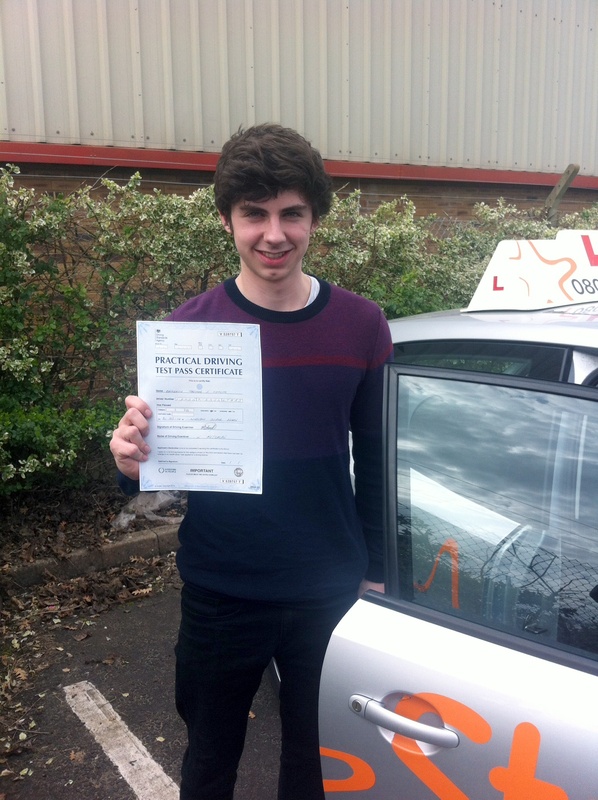 Many congratulations to Callum H. McKay of Burnham-on-Sea who passed his Practical Driving Test first time with just 3 minors on Monday 14th April 2014 at Weston-Super-Mare driving test centre. All the best from your Driving Instructor Andy Skyrme and all the team at Starfish Driving. Great drive now on with Pass Plus! 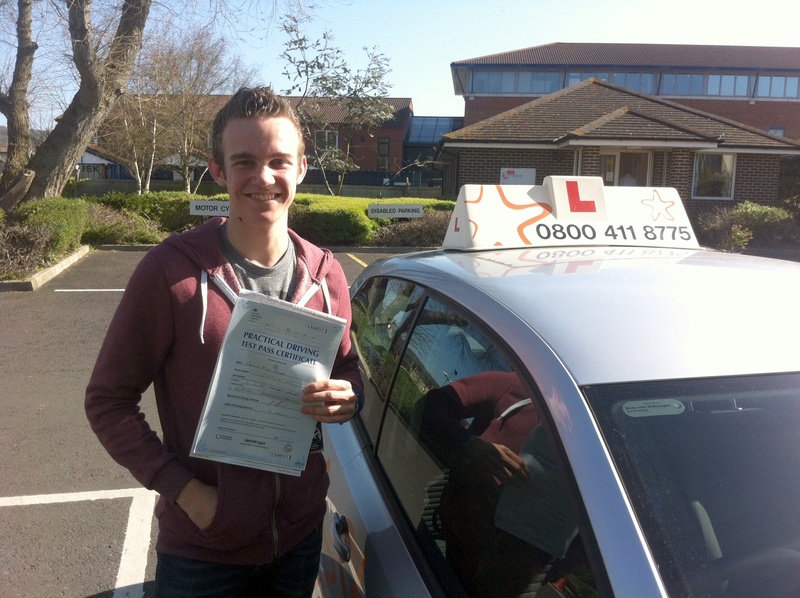 Many congratulations to Cam Fraser from Cross who passed his Practical Driving Test first time with just 3 minors on Monday 31st March 2014 at Weston-Super-Mare driving test centre. All the best from your Driving Instructor Andy Skyrme and all the team at Starfish Driving. Really great drive, now on with Pass Plus? 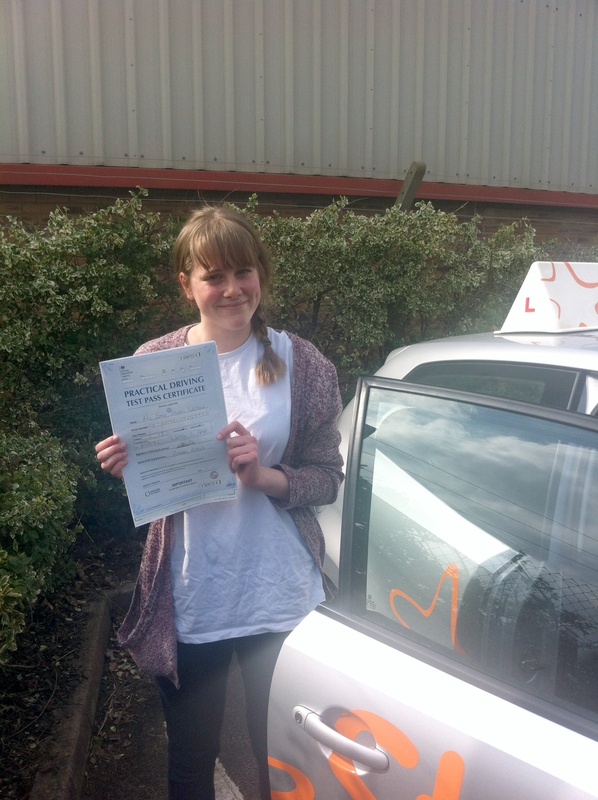 Emily with her Practical Driving Test Pass Certificate outside Weston-super-Mare Driving Test Centre. Many congratulations to Emily Weigol of Blackford who passed her Practical Driving Test first time with just 1 minor on Thursday 27th March 2014 at Weston-Super-Mare driving test centre. All the best from your Driving Instructor Andy Skyrme and all the team at Starfish Driving. A really great drive, now on with Pass Plus!